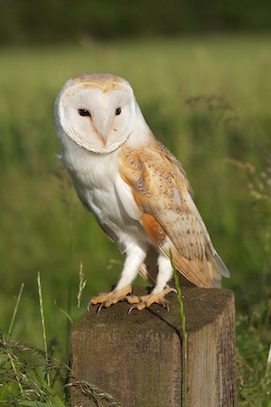 Help Ulster Wildlife’s barn owl project, Be There for Barn Owls. We need to know more about the barn owl in order to turn around its declining population in Northern Ireland. 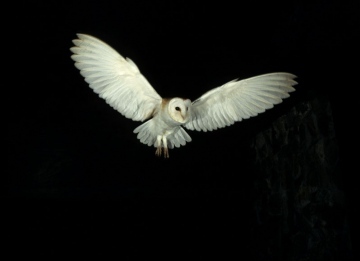 We use sightings to help identify where barn owls may be nesting in order to protect the nest site and enhance foraging habitat where it is most needed. Honey-coloured back & wings and white underneath with a white heart-shaped face, the barn owl is a distinctive farmland bird but rarely seen in daylight in Northern Ireland. Most often reported as a large, white, ghost-like bird seen in car headlights at night. Only about 250mm from head to feet, broad wings and long wingspan make it appear much larger in flight. Found throughout Northern Ireland but seem to avoid higher ground; can be seen throughout the year hunting for small mammals on open countryside (not within woods). Was the barn owl seen, heard, or both? Your details (please note: We will only use your email address if we need to contact you about your record. If you are logged into the system, please do not lock these values. The information will be auto-filled from your account profile. ). Any other notes or observations that you would like to add?